Almost There! The photo on the right was taken on July 12th. 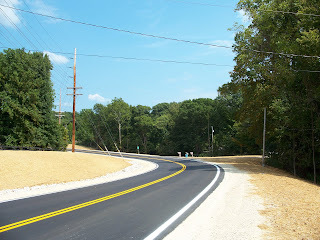 Just six weeks later and the construction for rebuilding the curve at Smith and Rogers Roads is nearly complete. 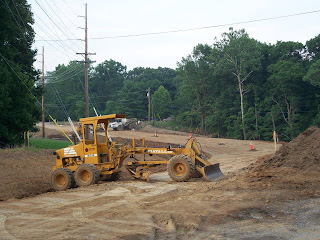 The residents of Hyde Park along with all those who wait at the 4-way stop sign at intersection of Rogers and Sare Roads will be thrilled when this section reopens this month. The photo to the left was taken yesterday and shows the the paving work is completed. Any day now!